At the start of a new fall season, I'm always excited to try the latest trends. There are, however, those trusty, timeless items I always pull out of storage and look forward to wearing in the colder months. While I'm less inclined to spend a lot of money on a denim mini skirt or off-shoulder top, I do invest in well-made staples like the ones shown above. I always get excited about bringing out my wool winter coat and quilted vests from J. Crew. I use my Longchamp tote all year but I think it looks especially great when paired with a leather belt and riding boots in the fall. 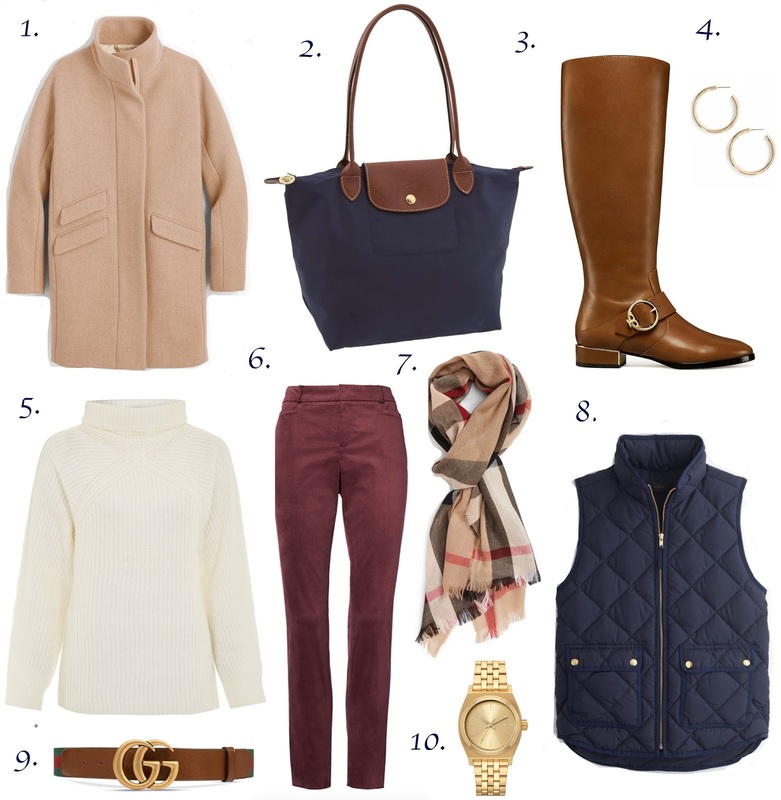 I also love cozy materials like a soft cream sweater, velvet or suede pants, and a cashmere Burberry scarf (which is definitely on my wish list!). And for some reason, I'm drawn to gold jewelry more in the fall and winter — like a simple gold watch and classic gold hoops. Hey, know About Lauren German biography? Visit Our page or Secrets Of Lauren German! Do You Know?